There are times when I really really wish the study of Leon Poliakov's "The Aryan Myth: A history of European racism" had been compulsory in our schools. The number of alt-right fuckers and general racists would be far lower than it is now, with the added bonus of the EU being seen as a good thing. Cunts like Farage, Yaxley-Lennon and Hopkins would have been seen as nothing more than mad dogs barking at the moon, and we wouldn't be living in a festering cesspool right now. 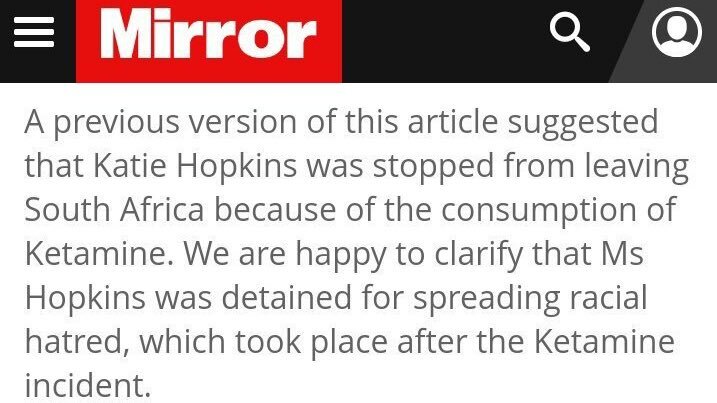 Fair play to The Mirror for this correction. The first sentence shouldn't say Racist, should it?